The military hospital task team appointed by Defence and Military Veterans Minister Nosiviwe Mapisa-Nqakula has had its mandate extended and will now also have a closer look at other aspects of the South African military health system. The task team was given six weeks to come up with recommendations to improve service at the country’s three military hospitals – in Thaba Tshwane, Cape Town and Bloemfontein. “After she received a comprehensive report from the task team, it became clear to the Minister that the mandate of the team should be extended to allow it to assess military medical services provided at SA National Defence Force (SANDF) bases as well as medical services available to soldiers deployed on border protection and those on peacekeeping missions, including the Un Force Intervention Brigade (FIB) in the DRC,” Ministerial spokeswoman Joy Peter said. The task team has to complete this work and report back to Mapisa-Nqakula by the end of June. The team, under the chairmanship of Professor William Makgoba, will also work with what the Minister called “relevant parties” in the Department of Defence (DoD) on developing an implementation plan to give effect to recommendations made. The thorny issue of overtime for medical practitioners in the SA Military Health Service (SAMHS) appears to be heading for a solution following the task team’s first report. “The Minister has instructed the SANDF Chief of Human Resources to immediately undertake an audit together with representatives from the offices of the surgeon General and Chief: SANDF to determine who in the SAMHS medical professional sector qualifies to receive commuted overtime and make the necessary payments to those members who are owed monies with immediate effect,” Peter said. The establishment of the task team followed complaints from military health practitioners at SAMHS hospitals. 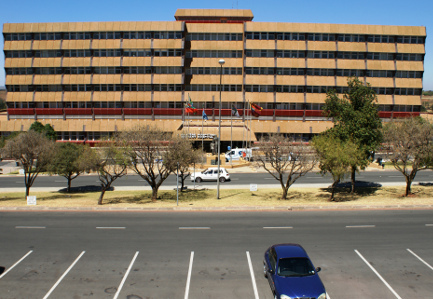 The hospitals are 1 Military Hospital in Thaba Tshwane (Officer Commanding Brigadier General N Maphaha), the SANDF’s flagship military medical facility; 2 Military Hospital (Officer Commanding Colonel I Bux), in Wynberg, Cape Town, which is currently undergoing a multimillion upgrade, and 3 Military Hospital (Officer Commanding FJ Matthee) at Tempe in Bloemfontein, where upgrade work has been completed. “The Minister wishes to improve the working conditions of military medical practitioners, doctors, nurses, psychologists and others, in the military health system based on the outcomes of the investigation. This, in turn, will lead to improved medical healthcare services for a projected patient population of 293 000 members a year,” Peter said. SAMHS costs, as per the SANDF 2014 annual performance plan, amount to R4.3 billion. The medical arm of service was been allocated R3.5 billion by Finance Minister Pravin Gordhan in his national budget delivered to Parliament in February.